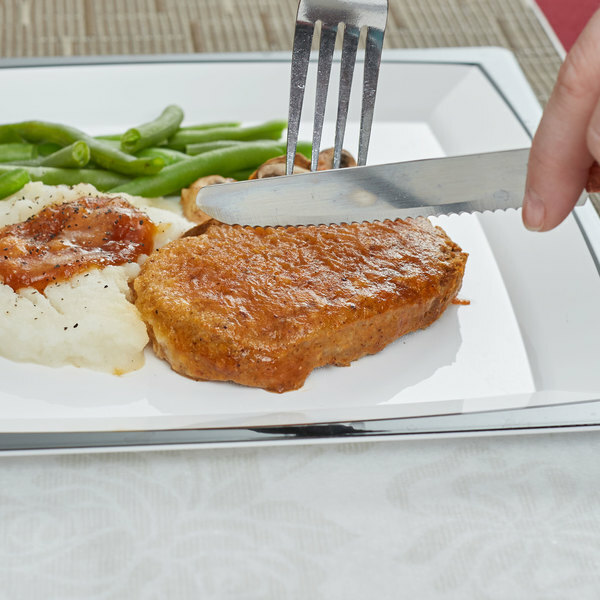 Vital in any thriving restaurant, a versatile and functional steak knife will help customers enjoy your most tender meat entrees. 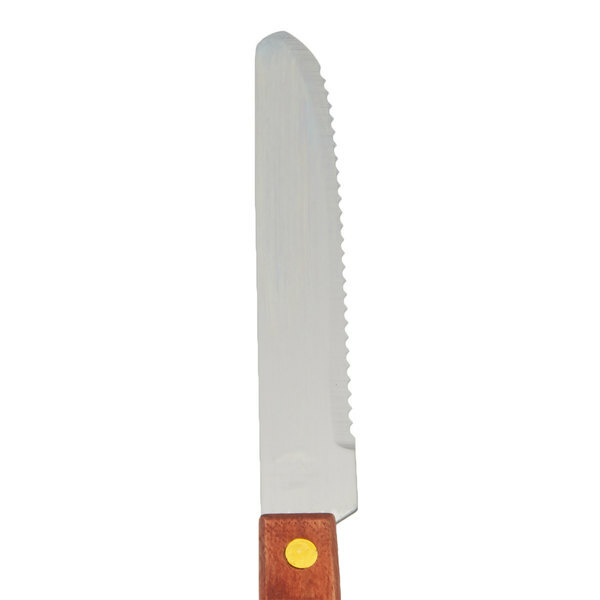 This 4 1/4" knife features a heavy-duty blade with serrated design and rounded tip. A wood handle provides customers with both a smooth, comfortable grip ads well as an attractive appearance. 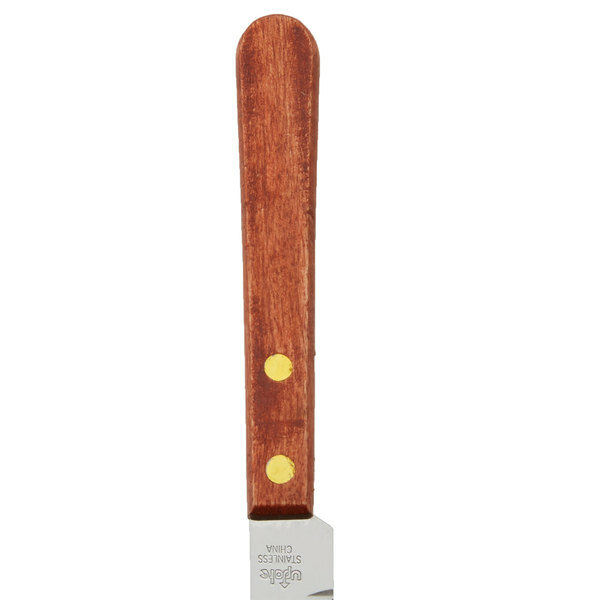 We provide this knife to customers with a cutting board to cut their bread for dipping. It works great for that purpose and it's nice to give customers a blunt-end knife for safety reasons. 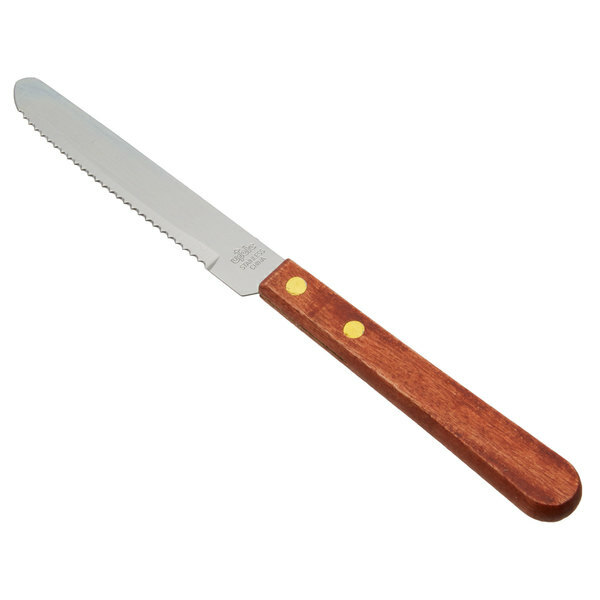 Very sharp knife to cut many different meats with . I recommend this knife for large heavy steaks . The handle is made of wood and has two screws in it . Good pair cheap steak knives. They do just color after a while. Would definitely buy them again and appreciate. Just don't wash and bleach because they turned white. 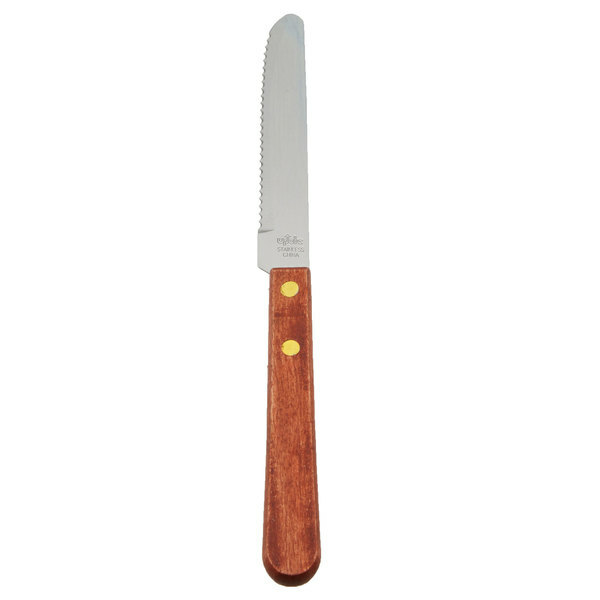 Like the corresponding pointed steak knife, this knife is light, thin and sharp but at the same time flimsy. 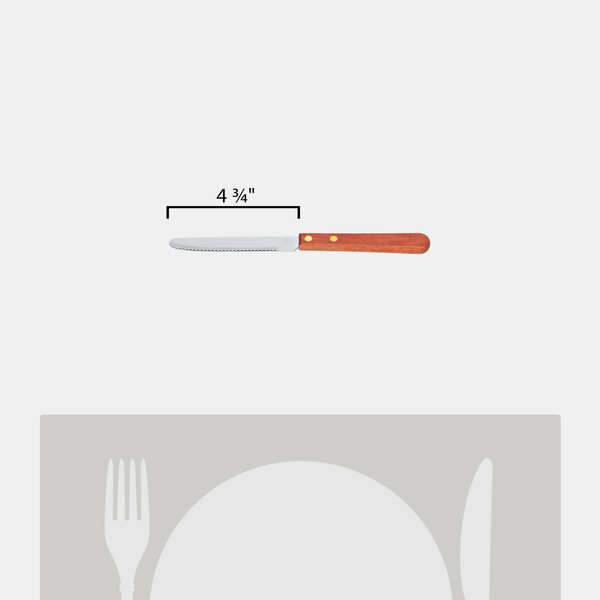 It's good for everyday dining use, but a bit flimsy for much more. If feels to light in the hand to cut anything harder than an average piece if meant. I wouldn't' be comfortable cutting carrots or potatoes. Though, I love being able to butter my toast and cutting it after. These are nice steak knives. We had checked at another restaurant supply place and their price was at least 3 times what these cost us. I would not recommend these for a steak house but for the price you can't beat it. The handles to get very faded after a few months but they still stay sharp. five stars because they are what they are, nothing more, nothing less, just an inexpensive wood-handled serrated knife on the cheap. more an add-on purchase than a key purchase, a perfectly satisfactory all-purpose economical knife imo. The Steak Knife With Blunted tip and Wood handle sold 12 per box. it is great to have a nice steak knife with your steak. This knife is child proof with the blunted tip. Price is great.